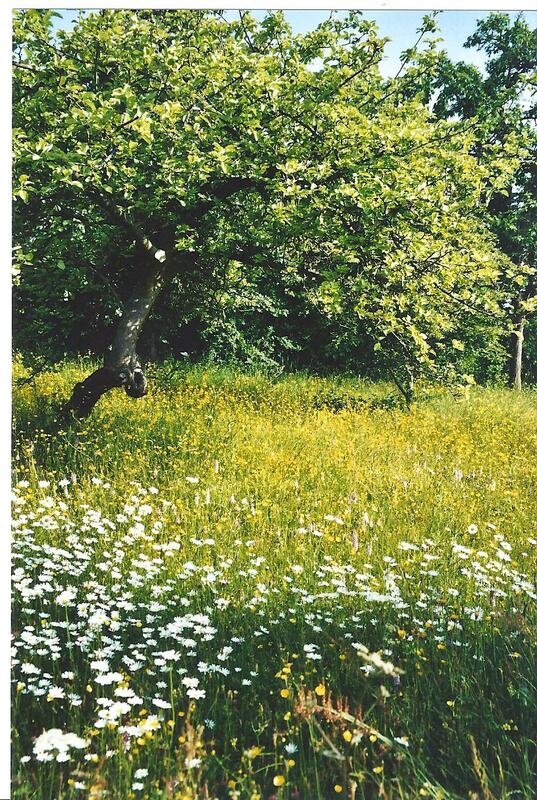 The widest use of the term ‘meadow’, as in the Dean Meadow Group’s name, includes all grasslands where native grasses and wild flowers flourish, or where management may achieve this goal. Strictly speaking a meadow is an area of grass where animals are excluded from late spring and early summer allowing the growth of a crop of hay, before sheep and cattle return to graze. These hay meadows had much the same management for many years and the flowers and animals adapted to it and flourished. In a similar way , traditional pastures can also be rich habitats, solely maintained by grazing. If asked to describe a meadow, many people conjure up an image of waving grass dotted with flecks of white, purple, yellow and pink from a myriad of different wildflowers. Invariably the day is sunny and there is the humming of insects and the scents of the flowers and freshly cut hay. Though such meadows have been the traditional places for picnics and summer walks for generations it is no longer easy to find truly flower-rich grasslands and many species that depended on them have become scarce. 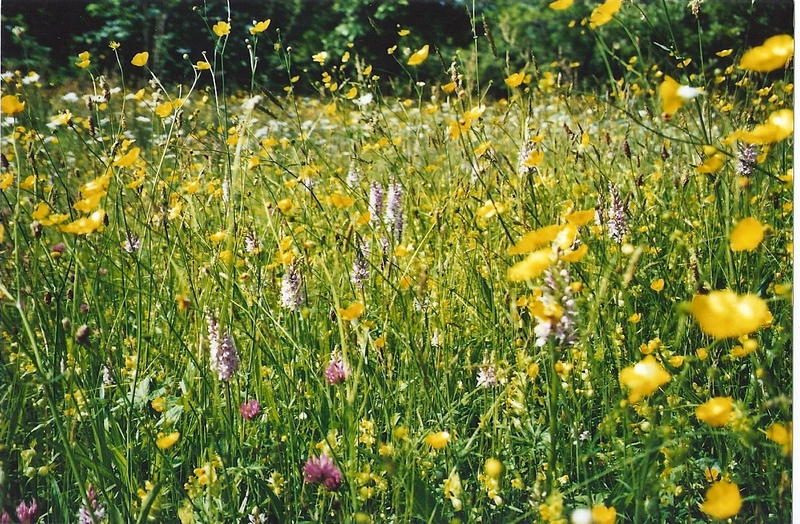 Over the last 60 years or so , most wildflower-rich meadows have been lost, mainly due to changes in farming practice. Old permanent meadows have been converted to arable land or ‘improved grassland’ dominated by a few vigorous grass species and white clover. Other losses have been to development or conversion to formal gardens with intensive mowing. However the soils, topography and traditions of small scale farming in the Dean mean that this area is more fortunate than some in retaining wild meadows . Small fields, often on steep ground, are difficult to cultivate and may have survived because they are not the effort involved in ”improvement”. Such land is now most at risk from lack of management as fewer people keep livestock and grassland quickly turns to scrub. The cream of the remaining wildflower-rich grasslands will never have been ploughed , re-seeded or treated with artificial fertiliser or pesticides. All of these actions cause the loss of the most sensitive species and encourage coarser ones. The best of hay meadows may have more than 25 species of flower and sedge per square metre plus a range of fine-leaved grasses; commonly “improved” grassland is seeded with 2! Between the two extremes are a wide range of grasslands with a history of changing management over the years . 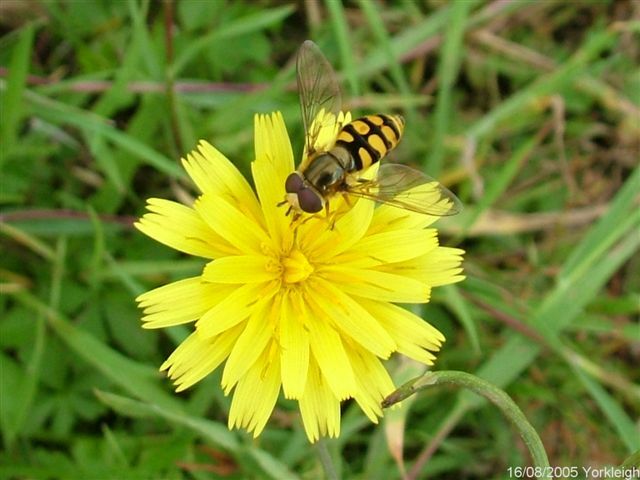 In all these grasslands wildlife abounds; meadow flowers will attract different kinds of insect and these, together with plant seeds, will be food for birds and small animals. The right management can increase the diversity and complexity of life in a meadow ; a very satisfying achievement.